I'm not great at arithmetic, but I think that's enough stuff for me to feel like a craaaaaazy appliance salesman on a TV commercial. 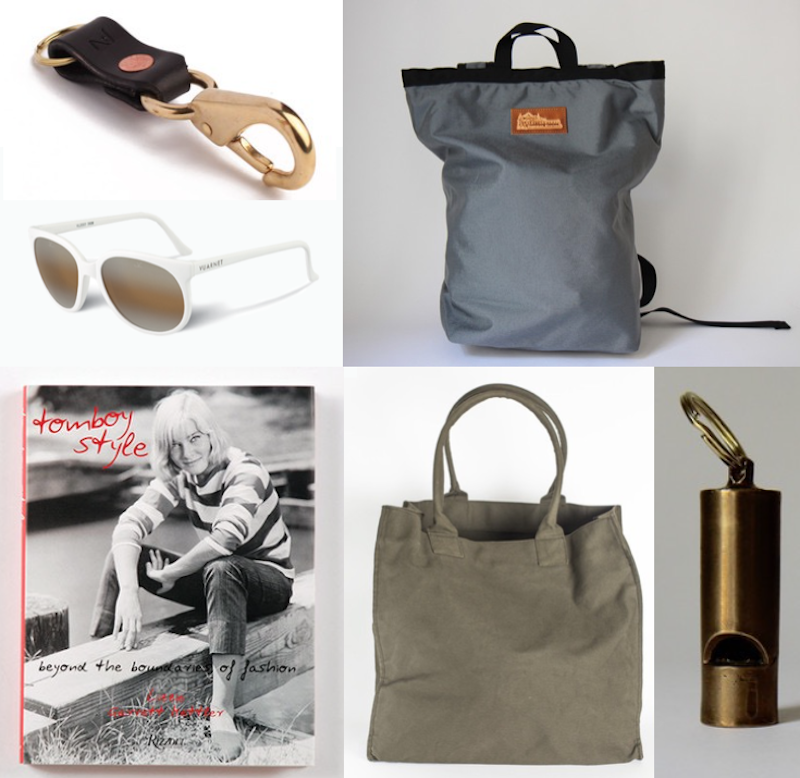 To enter the giveaway: show our Instagrams some love at @lgmettler and @the_reed_shop, leave a comment below and, hey, do a nice thing for someone today. Winner will be picked Wednesday evening 11/11 and announced right here. Good luck! great way to kick off the holidays! this is awesome. thank you for genuinely making me excited about the holidays. How exciting! Everything looks wonderful! whaaaat!! haha amazing! that canvas tote is SO good. This is awesome, thanks for the chance to enter! wow, if there ever was a dream giveaway of mine, this is it! Do a nice thing today - I kissed a cat, made a child smile and rescued a spider. Okay I only kissed the cat but tomorrow is another day! These are such fun items! Thanks! Such a nice giveaway. That poncho is stunning! I need a new keychain, that one is perfect. Wow, what a giveaway!! Followed The Reed (I already followed lgmettler) and excited to check out these products! This is fantastic - thank you for doing this! I already follow you on both instagrams and enjoy both of them! Such an awesome giveaway! And I fortunately already follow both accounts! Fingers crossed! Oh, and this is a super giveaway! Thanks! This blog has been a go-to for me on classic girl-of-the-world style. Thanks for your posts and happy holidays! Wow what a give-away! I'd love to give some of these winnings away to my loved ones at the holidays! What a happy giveaway! This tides me over a bit until it's "officially" holiday season :). Wowee. This rocks. I'm floored by your generosity. (Not only because of this giveaway, but also because of your consistently gracious responses to comments that disparage some of of the more expensive items you spotlight on the blog.) You're doing a good job. Thanks! That all looks amazing! ooo thanks for the opportunity! This is amazing! Fingers crossed! Such a great giveaway. Happy November! Looks amazing! Thanks so much for the giveaway. I've unfollowed a lot of blogs recently, but yours has always stuck around through all the purging cycles. Thanks for the quality content and dedication to showcasing amazing brands. A treasure trove of goodness! lovely lovely! thanks for being awesome! that's a great giveaway, and perfect pre-christmas timing. I already follow both 'grams! What a great collection of treats! Thank you!! Whaaat?! That is a mighty fine pack of prizes! Love this! Thanks for hosting! I follow both accounts (I'm jlrontal)! What a great give away. Love Tomboy Style! Looks amazing! Love the blog and the style! Today my nice thing was surprising my boyfriend with freshly cut fruit a French Press full of coffee and ciabatta toast! Now can we discuss how much I need those Vuarnet sunglasses??? Please pick me! I'm sold. The blog, shop, products & media all excellent. I always love a good giveaway! Thanks for the opportunity. Amazing! Love the shop and you're blog! You're the best! Follow you on both IG accounts! Wow, so generous! Love reading your posts and seeing inspiring photos. Thank you! Everything is always so perfectly cool! I'm letting my cat drool on the computer keyboard. Love it all---your blog, your book, your giveaways---Peace! Stupendous! Following both on IG; really love your blog. Thank you! Following you both on instagram already. Thanks! Great giveaway! Keep doing what you're doing! "Cool house shoes! Where'd you get them?" "Well, I follow this blog..."
"Your Sabahs are cute!! Where'd you hear about them?" "You know, I follow this blog..."
This is pretty much how convos go about my shoe fetish. Thanks for shedding light on cool, well made products and badass ladies. Also- yay for giveaways! I've been stalking half the items on this giveaway list already so....woo hoo! Just got introduced to this blog a few weeks ago and I haven't been productive at work since. Keep up the great work! 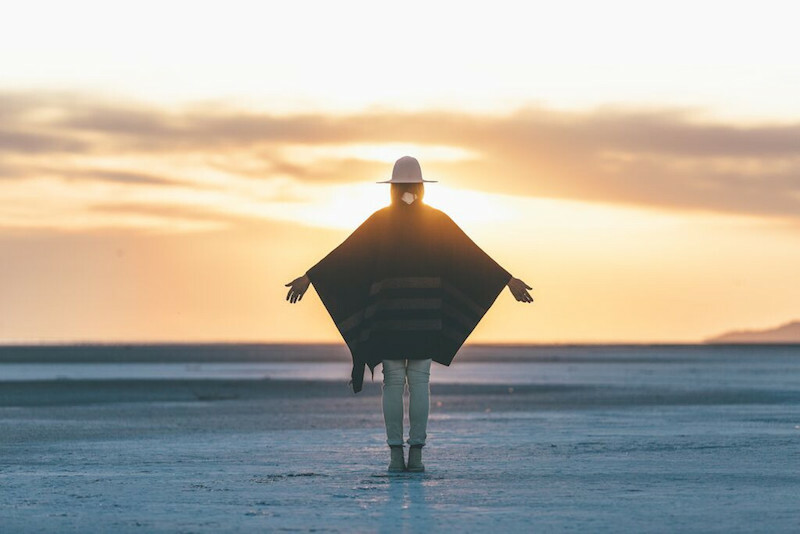 This is beautiful - you are beautiful - this blog is beautiful. Thanks Lizzie! swoon! what a generous giveaway & let's all do something nice everyday! Yes! I've been following your blog for a few years now. I wear my New England Jungmaven all the time--bed, around the house, to the farmers' market...I love your style--what an awesome giveaway this is! Love the requirement to do something nice today! thanks for the giveaway! You've given shape and form to my previously vague fashion and style yearnings - thanks for offering a way to think about style that finally feels like me! Maybe the 11th will be my lucky day and my first giveaway win, which I will share with people I love. Myshop provide the best material about clothing. We sale in cheap and best quality. Here are options ladies fashion collection, ladies bottom wear, intimates & sleepwear, Wedding & events, Accessories, Leather products all especially for Ladies. The giveaway of my dreams! This is pretty rad. I always feel dumb entering giveaways but I can't help myself this time! You're curating the life I want to live. Following those instagram accounts asap! What a great giveaway. Wow! Avid follower of both instagram accounts, absolutely love your style. Dang girl! You could really make my holiday season with all these treats. Either way I am ordering your book for the coffee table. Long live Tomboys!!! Oh, I love it all! I followed both as @thoughtandsight. I love everything here! I just had a baby and could use a major pick-me-up with all this cool stuff. Thanks for hosting it! This is a great giveaway-- nicely done! Ahh, so much good stuff! PONCHOS ARE THE NEW PREGGOS UNIFORM, LOVE 'EM. SOMEONE SAID THEY SAVED A SPIDER TODAY, AND I THOUGHT MY GOOD DEED WAS KILLING A SPIDER FOR A COWORKER, BUT NOW I FEEL BAD. so great! love it. your taste is so on point. dreamy package! already a big fan of your instas :) thanks for youre great posts! Made a couple smile today, and even though it's something so simple (and cliché) as to help someone across the street, it makes both you and them and just the positive energy in the world become a bit more vibrant! I follow both Instagrams. I love The Reed Shop. The style sensibilities are inspiring and the clothing you offer is exceptional. Glad you are smart and have such a clear intention driving your choices. It dresses me nicely! Thanks! Holy crow! That poncho looks like pure heaven. The Reed is a gorgeous shop and I'm currently happily lost in the travel guides. Beautiful! Following both, on the lookout for something nice to do today! I've been using your Reed travel guides for some upcoming trips (High Desert guide + Boston/Maine guide)! 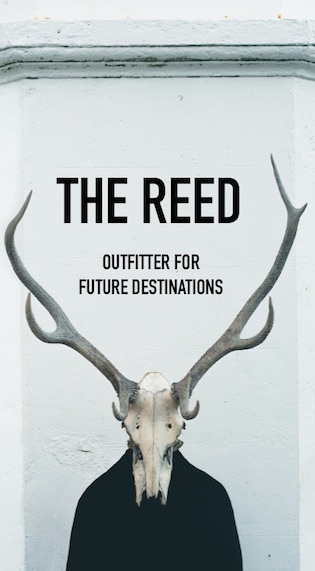 It would be so, so, so great to pack for said trips with these amazing Reed shop items. I'm dreaming of winning this giveaway to then give away most of it to my friends and family for the holidays. A tomboy's dream come true! Love this blog! Thanks for this amazing giveaway! Oh sheesh! What a great thing. You will make someone VERY happy! Ho ho hooly crud this is a super sweet deal! Blessings to ya! Just followed both lovely accounts-- mine is @nicholsonjordan. Hearts and stars. Wow, I can sense the quality even over the internet! Thank you for this giveaway! I'm mmkkll on Instagram (I am already following you and the_reed_shop). Off to do something nice for someone! All followed up under the name @luvmyminime- this is fantastic! Wow - what a great giveaway!!!! Yay, what a rad giveaway! I love the Reed and Tomboy Style, so thanks for being so mega awesome! Oh, such a rad giveaway! Very lovely items! Fingers crossed! Lovely! Would make all my holiday wishes come true. Tomboy Style, you make my morning routine complete. Been following TomboyStyle for years! Please enter me in your giveaway! what a fun giveaway! I follow you in instagram (@mimimski) and now my nice deed will be to forward this giveaway to a bunch more friends :) Thanks! luck luck luck! I love the reed shop!! I was already following both accounts, of course, so now I'll just have to do something nice—not too hard. Awesome opportunity! Already following both accounts on IG (@mboing). What an amazing and quintessential tomboy giveaway-- thank you!!!! I'm so inspired to do something awesome for as many people today as possible. Ah-mazing! Tons of love for Tomboy from San Francisco. Love all of the above! And I dig the Instagram Accounts. I'm (a_child) following both! Love how Griffith Park looks when the sky is hazy! Need to take a fall hike there soon. So much respect for the tomboy style! Wow. That's a lot of stuff! What a giveaway!! Thanks Lizzie! What great stuff! Fingers crossed - thanks for doing this!